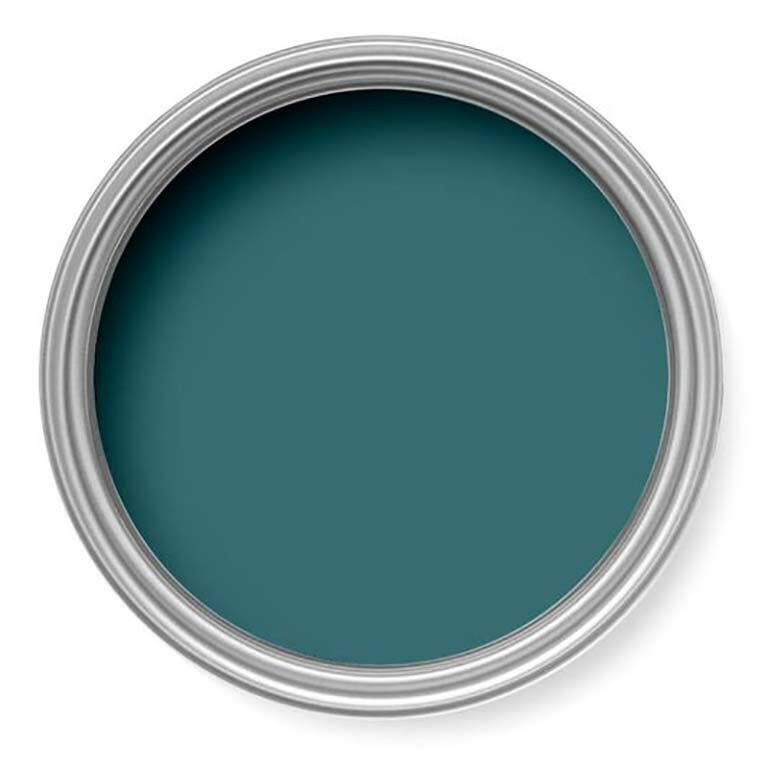 Taken from the backdrop of the Tori teal wallpaper, Tiru is a serene teal paint inspired by the Kabuki trend. Timeless, sophisticated and versatile, Graham and Brown’s neutral palette will provide the perfect backdrop for your furniture and décor. Create a light and cheery atmosphere with Graham and Brown’s selection of pastel shades. Use in a contemporary space to create a fresh and airy haven. 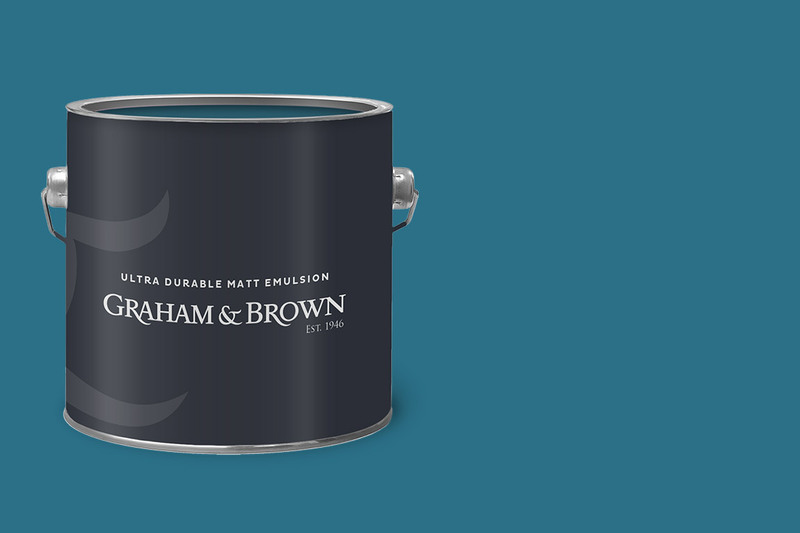 Add a pop of colour with Graham and Brown’s bright palette. 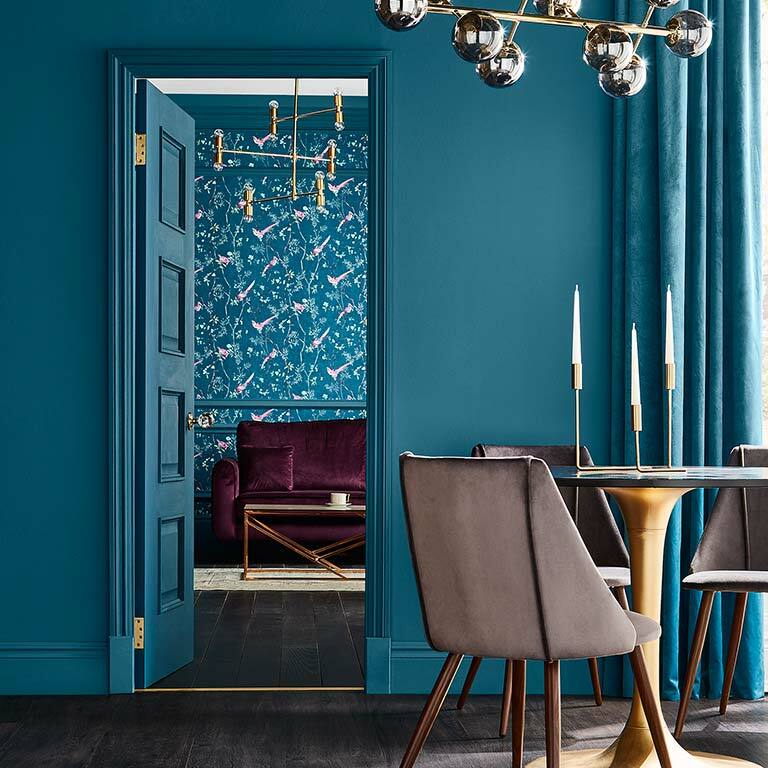 Ranging from punchy pinks to on trend mustards, these colours are perfect for using in smaller areas to add the wow factor. Graham and Brown’s deep palette has a range of intriguing shades with lots of character. Perfect for larger spaces, to create a bold and daring atmosphere. Transforming your home can be as easy as a lick of paint, changing the feel of any space with a beautiful new colour. 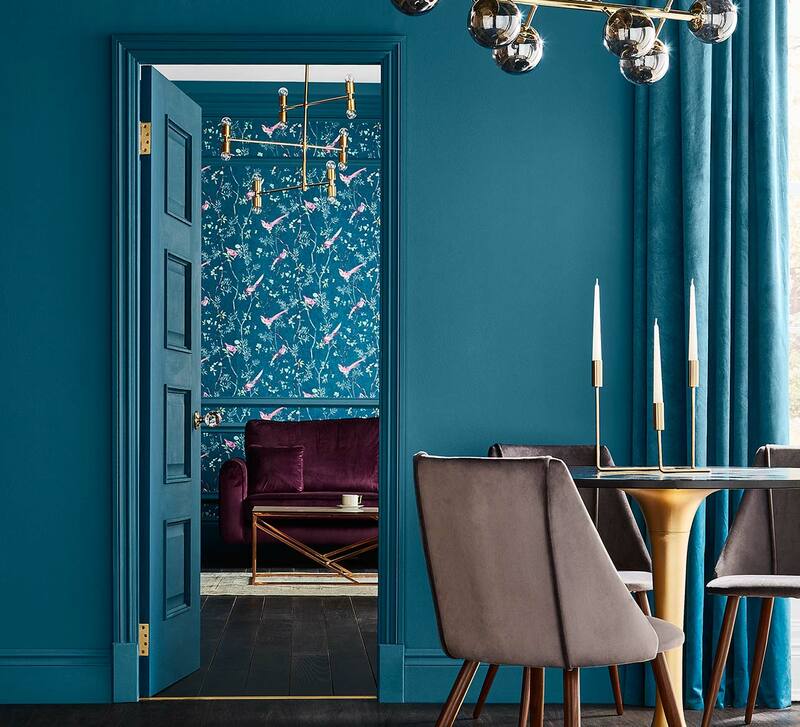 At Graham & Brown you’ll find a stunning collection of paints specially created to match our wallpapers, including emulsions, undercoat, and gloss, allowing you to create your perfect look.With over 300 colours to choose from, it’s easy to get the look you want for you room. Perhaps a calming and serene blue for the bedroom, or stylish and elegant greys for the kitchen. 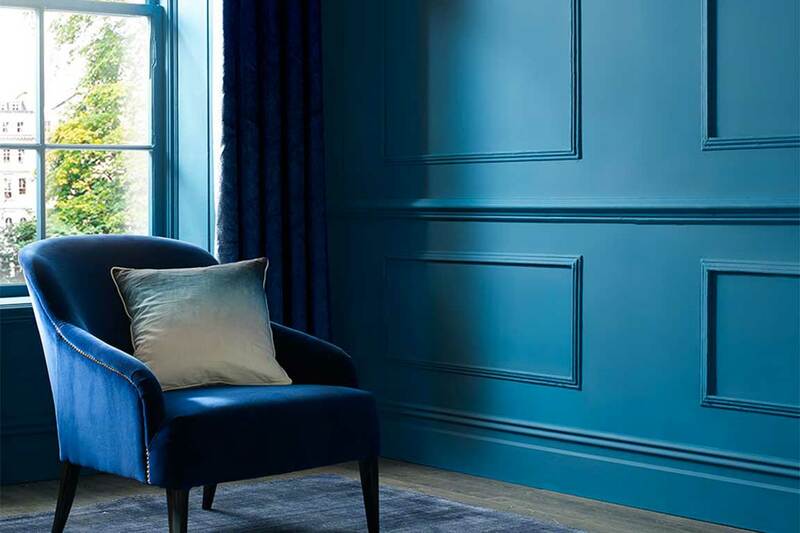 You could even go for a single bold colour for a feature wall in your living room, or create a sense of depth with darker paint colours in alcoves or behind wall shelves.Whatever look you want to create, you’ll find exactly what you need in our collection of wall paints. 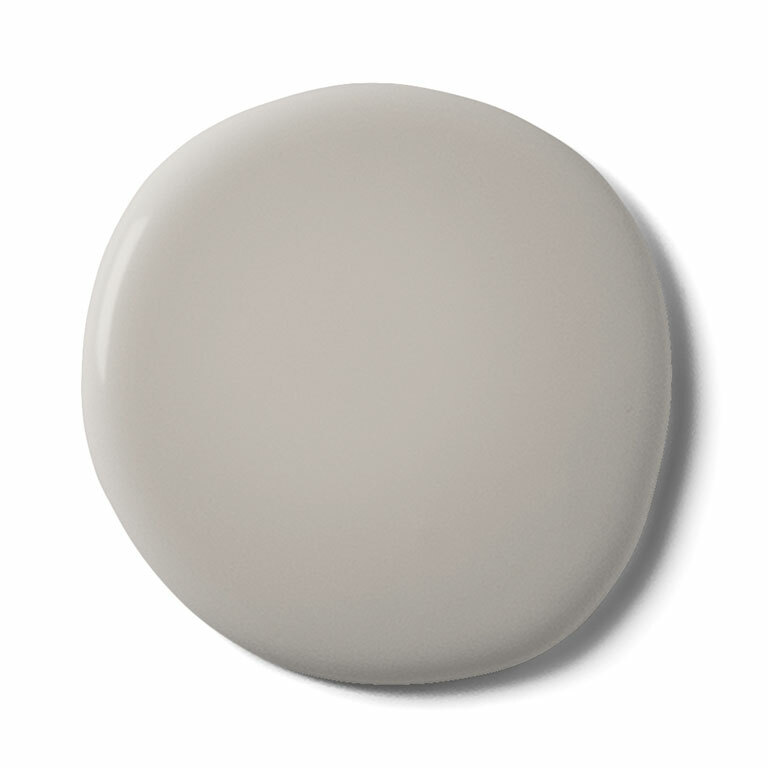 Our gloss paint choices will allow you to do those essential finishing touches for a clean and polished look, too.